He’s having two parties this Saturday. One for the kids and the other for family. I had recently received a selection of oly*fun to work with and thought it would be perfect to use. It was super easy to put together. Stencil the check pattern using the black acrylic paint on the orange oly*fun. 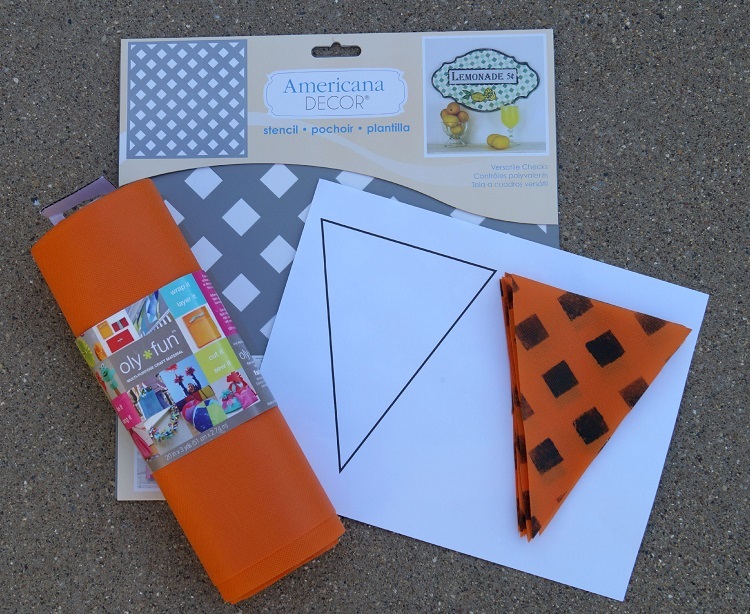 Create a banner pattern on cardstock. Cut out the banner pattern and trace onto the stenciled oly*fun. Trace and cut several banners out of the black and green oly*fun. 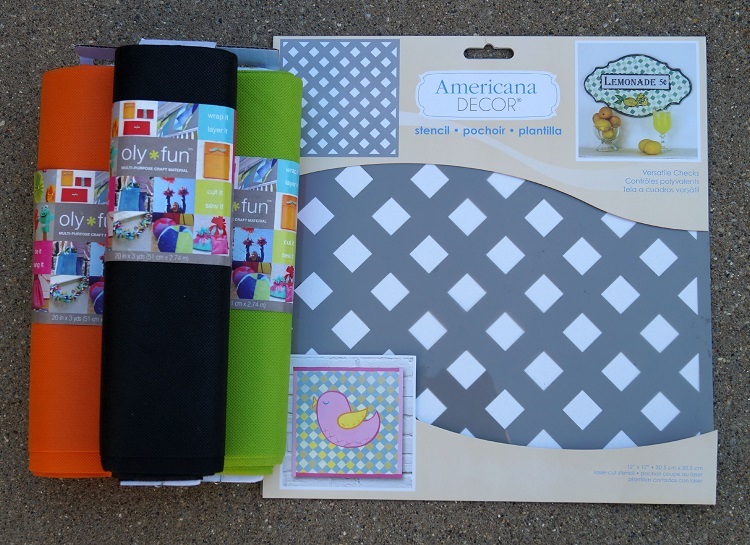 Cut strips and circles to decorate the banners. Glue onto banner with Fabri Tac Glue. Fold top of the banner and staple onto the piece of twine. 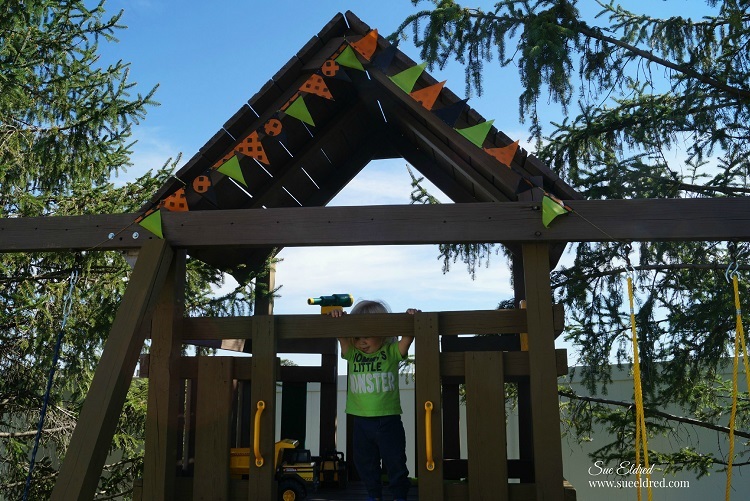 Tie the banner onto the top of the playhouse and watch the kids play. A Special Thanks to Fairfield World for generously providing the oly*fun for this project.